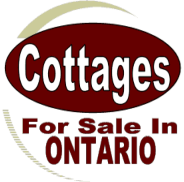 Real Estate Vacation Properties and Waterfront Cottages near Red Lake, Sioux Lookout, Kenora, Dryden, Lake of the Woods, Thunder Bay, Marathon, Fort Frances, Lake Nipigon, Sioux Narrows, Atikokan, Armstrong, Ignace, Wabigoon, Nestor Falls, Rainy River, Vermiliion Bay and More! Turn-key tourism operation with excellent revenues & client base! On Pelican Lake Approx. 5 Min. To Concrete Public Boat Launch/Landing – Sioux Lookout.